Isn’t Mariposa fantastic? I work in the Ferry Building and have to make sure I’m not buying baked goods every day… I really like their soft pretzel (toasted), the rosemary rolls, and their chocolate chip cookies. MMM. I love Mariposa! I try to make a special trip to SF from the Contra Costa area to stock up at least once every couple months. I usually buy rolls, bagels, baguettes, pizza crusts and at least one lemon bar. 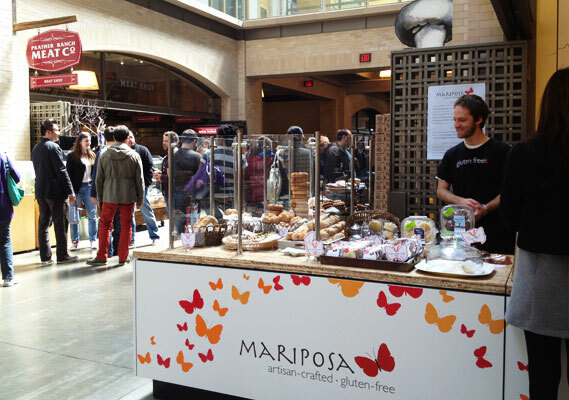 yummmmm……..
Mariposa is one of my favorite gluten free bakeries and it’s one of the things I miss about living in California. I always make it a point to stop there when I’m in town and even place a couple of orders a year for their goodies. 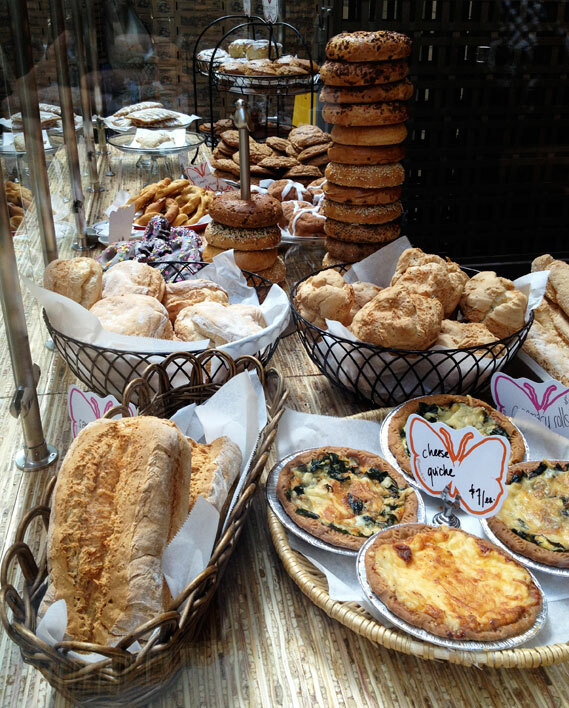 Looking forward to visiting this new spot in the Ferry building in June!